They’re a good bunch over at Essex based Nash Tackle, which is why we are so pleased at all the benefits we bring to their business. Such benefits have fed all the way from the sales rep to the bottom line and Nash are reportedly seeing an increase in their average order size. Which distributor would turn down business growth like that? 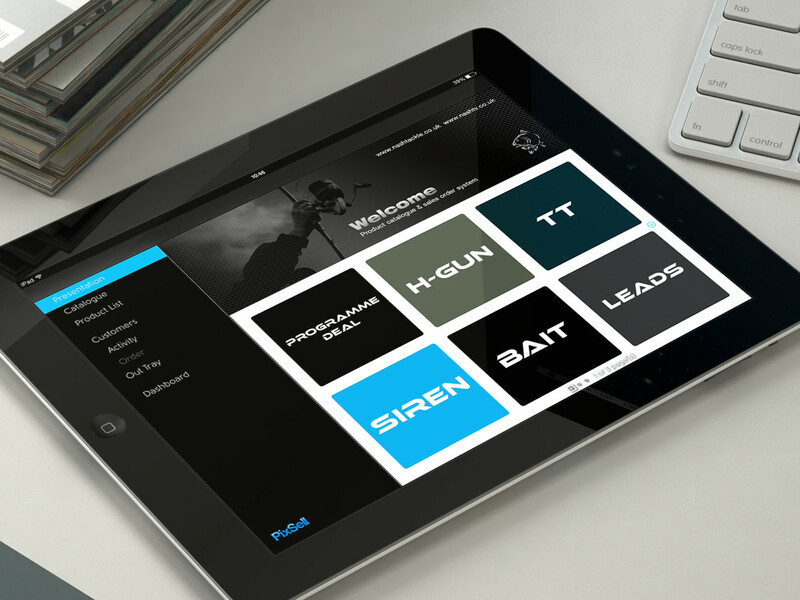 PixSell iPad ordering arrived at Nash in 2013. Selected to take over pen and paper ordering, orders reaching head office by phone and fax and low resolution catalogues, there was some reluctance from the sales team both on the road and the office staff that PixSell really could hit the mark and not disrupt their day-to-day job in the meantime. For Nash Tackle, PixSell has really bridged the knowledge gaps between the reps and head office and the reps and retailers. With regular stock updates available, there is less onus on head office to field telephone calls from the reps requesting product and account information. Account status, order histories, and sales reporting are just a few examples of readily available information within the application and as a result, each rep can manage their territory accounts, and sell more effectively. Access to Outstanding Product reports enables the rep and their customer to manage back orders with clarity and precision. As a result, customer relations are improved where over-subscribed products are concerned, which subsequently increases sales volume. In addition to sales reporting benefits, Nash also credit PixSell for assisting with their product launches. “The Presentation screen tiles enable us to professionally present large product launches in an organised manner, utilising hi-resolution images and accurate stock levels which manage the retailer’s expectations”, says Matt. There’s another party in the equation with feedback for PixSell. Nash’s customers have commented on how useful it is for the sales reps to be able to generate PDF order confirmations during the sales call and also create PDF copies of past orders. Retailers have even asked for their own version of PixSell to place top-up orders in between rep visits – it really must be a hit! This feedback from the retailers have led to a requirement for an InterSell B2B eCommerce site with Aspin. Retailers will be able to log in, access their accounts and place orders at the correct price.